Many Apple users these days have a question: why is my iPhone screen black? Well, we have come to answer this question and offer possible solutions to this question. Before we move towards to the solution, we need to know the exact reason behind this issue. iPhone black screen may take place due to two major reasons: software glitches and hardware issues. Most of the time, an error in the software or a corrupted app can cause iPhone black screen. On the parallel end, this issue can also be caused due to hardware problems. Broken internal hardware components or a loose wire connection may be held responsible for this issue. Let us have a look at the possible solutions that can offer you a fix if you face iPhone screen dim issue. How to Fix iPhone Black Screen of Death? Now that you have learnt about the reasons that can cause iPhone black screen, here are the possible solutions that can help you fix this issue. Most of the times, it is the charging that can cause the black screen on your iPhone. What actually happens is your iPhone may have run out of battery thereby leading it to switch off. This results in the users to think that they are encountering the black screen issue. At such times, all you need to do is charge your iPhone so that it can start again and bring a smile on your face. Hard resetting your device can solve a lot of issues. But one thing to remember here is if your handset shows the Apple logo during a hard reset, then the iPhone black screen issue is caused due a software glitch. If so is the case, you can proceed with article to look for an ideal solution. On the other hand, if the logo does not appear, then it is a hardware issue for sure. You need to rush to the Apple Care Center asap. Trying to repair it on your own (with no knowledge of what you are doing) may lead to worsen the situation. Step 1: If your iPhone is launched in 2017, then quickly press and release volume up and volume down button. Now long press the Sleep button till the Apple logo appears. Step 2: if your iPhone is launched in 2016, then long press the Sleep and the Volume Down key till the Apple logo appears. 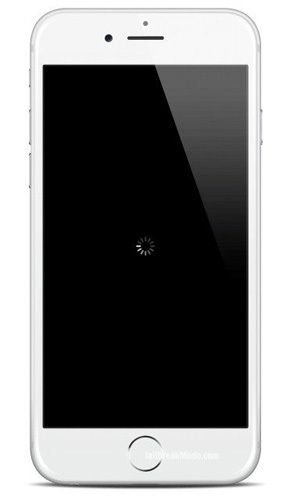 Step 3: If you are having an iPhone launched before 2016, then long press the Sleep and the Home button till the Apple logo appears. Sometimes, you feel your iPhone screen black but on due to a corrupted or a crashed app. If the app is not compatible with your handset, then you might encounter this issue. In such case, it is better to delete the crashed app. Here are the steps to delete any app if you see iPhone screen black even after reset. Step 1: On the Home screen long press on the app that you need to delete. Step 2: After some time, all the apps will start shaking. This means you are in Edit Mode. 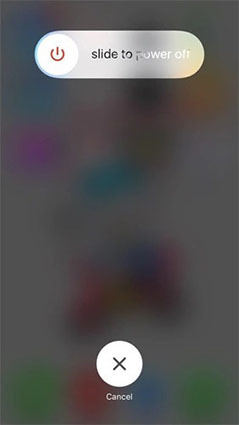 The apps that can be deleted will show a cross sign on the upper right corner. Step 3: Click on the cross and then click on Delete when asked. Your app is now deleted. One more solution to this issue is employment of Tenorshare ReiBoot. This software is the ideal and ultimate fix for the iPhone screen dim issue. This tool offers a single click solution to such issues that occur in iPhones, iPads, and all types of Apple devices. Here are the steps that need to be followed. Step 1: Connect your device to the computer and click on "Fix All iOS Stuck" option that appears on the main interface of ReiBoot. Step 2: Now click on "Fix Now" option and you'll enter the firmware download screen. Step 3: Download the latest firmware package by clicking on "Download." Step 4: Next, tap on "Start Repair" option to begin the recovery of your iPhone. Updating your iPhone can help you fix the issue. Here your iPhone is updated to the latest version. This increases the chances of getting rid of the issue since Apple rolls out new fixes every now and then in the latest iOS update. Here are the steps that need to be followed to update iPhone from iTunes. Step 1: In order to update your iPhone from iTunes, you must have the newest version of iTunes. Connect your iPhone to the computer. Step 2: After connecting, select your device in iTunes. Click on the Check for Update option under Summary section. Step 3: Tap on Download and Update. This will begin the process of updating your iPhone. Restoring iPhone is another solution that can possibly offer you a fix on black screen. However, there is a "but" involved here. The only drawback of this solution is you might lose your data forever. Hence, it is recommended to take a backup of your data before putting your hands on this solution. Here are the solutions. Step 1: In order to restore your iPhone to factory setting you will need latest version of iTunes. Connect your iPhone to the computer. Step 2: Click on the "Restore iPhone..." option under Summary section and click on "Restore" to confirm the process. Step 3: This will reset your iPhone as a brand new device with the latest iOS. As warned before, if you face iPhone black screen hardware problem, it is better seek help from Apple Store. Do not try to repair your device on your own. In short, you had a look at the top solutions to solve iPhone X/8 (Plus)/7 (Plus)/SE/6s/6 black screen of death issue. Let us know your feedback on this by commenting below. Also do share with us any other method if you are aware of.